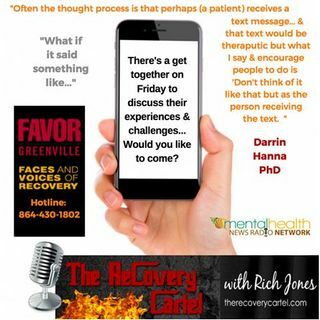 Darrin Hanna PhD is a leading expert in artificial intelligence and its use in addressing behavioral health concerns. At the Recovery Cartel we believe that the time has come for an aggressive and cutting edge solutions in the battle against substance use disorders. Join Rich Jones and Dr. Hanna as they discuss the potential benefits of AI, current practices and barriers to implementation. Dr. Hanna is a professor at Oakland University and the owner of a behavioral health electronic health ... See More record company Next Step Solutions.